The polar vortex has been in the news for weeks now, and looks like we may be getting another blast of that frigid North Pole air. It’s making for a really long, cold winter, and we have quite a few months left of it. But we promise Spring is on it’s way and it will be here before you know it. 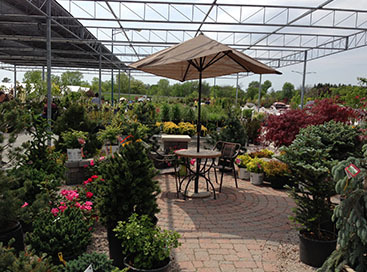 We’re already preparing for the arrival of warmer weather and gardening season in our garden center in MI. When Spring arrives, we’ll have everything you need for the best outdoor living experience. Start dreaming by imagining the annuals you want to plan this year. 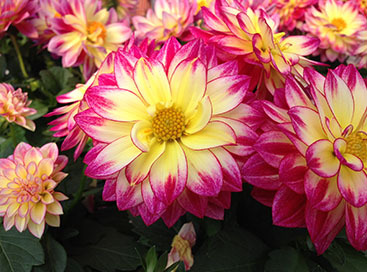 We’ll have asters, dahlias, petunias, coleus, dianthus, pansies, zinnias and hundreds of other varieties. We’ll be offering mixed containers and hanging baskets to add an instant pop of color to your yard. 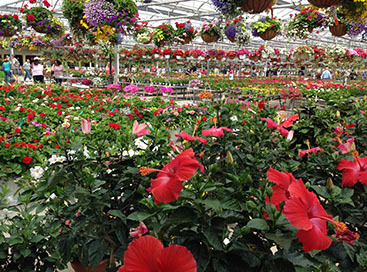 We carry over a thousand varieties of perennials, too! You can plan your landscaping and enjoy it’s gorgeous renewal year after year. Need something else for your yard to make it perfect this year? We have more than just plants! We have outdoor furniture to relax in and enjoy the beauty of your efforts in the yard. Try a bird bath in the backyard to attract local songbirds, or a well-placed gazing ball to add whimsy to your landscaping. We’ve got the equipment you’ll need to keep your yard looking it’s best, too. It’s time to excited about Spring! Start planning now for what you want to be planting in just a few short months. If you have questions, we’re currently open from 8-4pm and we’re happy to answer your questions. 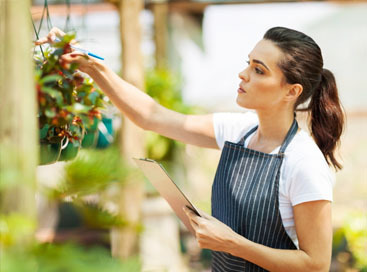 Stop by and let’s create your Spring gardening plan!